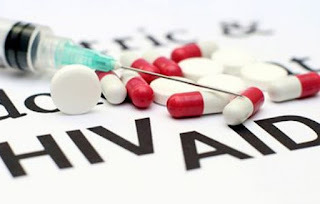 Lagos – Civil Society For HIV/AIDS in Nigeria (CISHAN), has called on Nigerians to beware of all false claims for HIV vaccine or cure, stressing that there is no known vaccine nor scientific cure yet for the deadly virus. CISHAN believes that every false claims to HIV vaccine and cure endangers the lives of the populace, including the over three million Nigerians living with the virus. It thus pledged support for global, regional and national efforts towards HIV vaccine and cure research, adding that it would continue to work with its partner-New HIV Vaccine And Microbicide Advocacy (NHVMAS) on public education, updates and awareness about new development in the field of HIV vaccine and cure research. “CISHAN, its constituents coordinating entities and its over 4,000memebers hereby call on the Nigeria public to beware of all false claims for a HIV vaccine or a HIV cure,” the group partly stated in a statement through its contact person, Mr. Walter Ugwuocha. However, during a recent media roundtable in commemoration of HIV vaccine awareness day, organised by NHVMAS in collaboration with Journalists Against AIDS Nigeria, Dr. Ernest Ekong noted that though the research on HIV cure has been difficult, researchers are in not giving up. NHVMAS on its part called on the government to invest in vaccine researches in order for the nation not to be left behind in the global HIV response.